Pack 1 Activation for Sigma Box enables direct unlock and repair IMEI features for the latest Motorola TI smartphones along with unique Yoda method of unlock/get unlock codes for the newest MTK-based Motorola, Alcatel, Huawei, ZTE and Lenovo smartphones *. 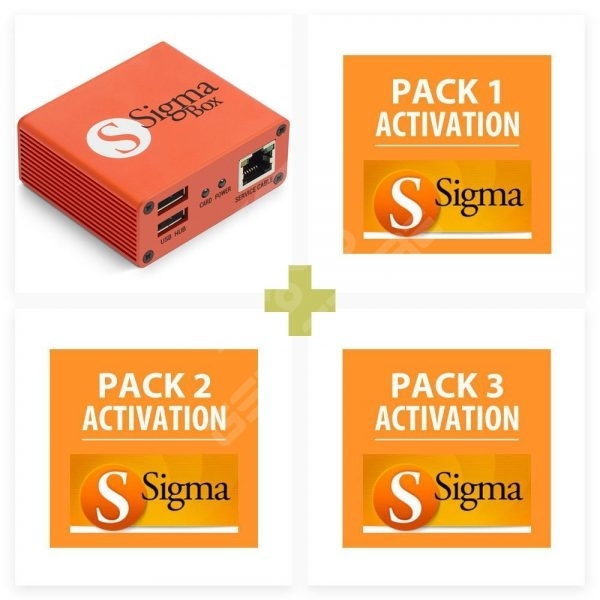 Pack 2 Activation for Sigma Box enables service features for the latest Qualcomm Hexagon smartphones *. Pack 3 Activation for Sigma Box enables FRP REMOVE feature for Hi-Silicon Huawei Android and Qualcomm Huawei Android smartphones *.